This Power BI Human Resource Solution focus on finding patterns and trends in the professional development of skills. It answers questions like, “What skills are lacking within a department?”, and “How have the current skills improved over time?”. 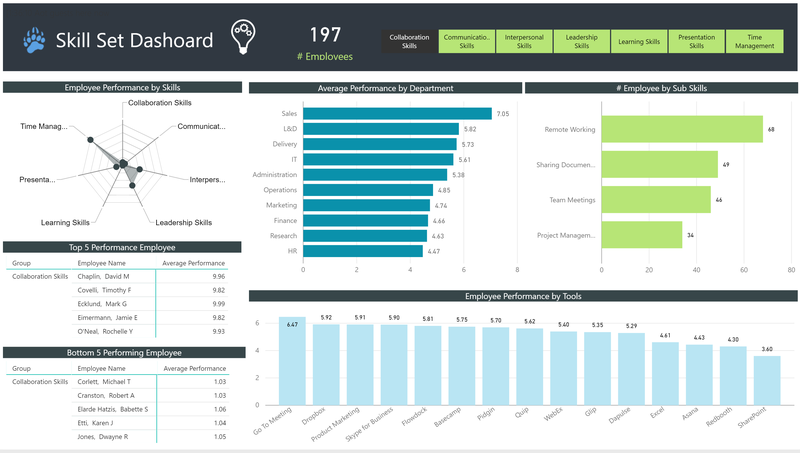 Use this Power BI report to easily monitor employee professional development across departments, tools and skill sets.